Rev. Tony Lee | Pastor. Community Activist. Leader. What is there to say but WOW. 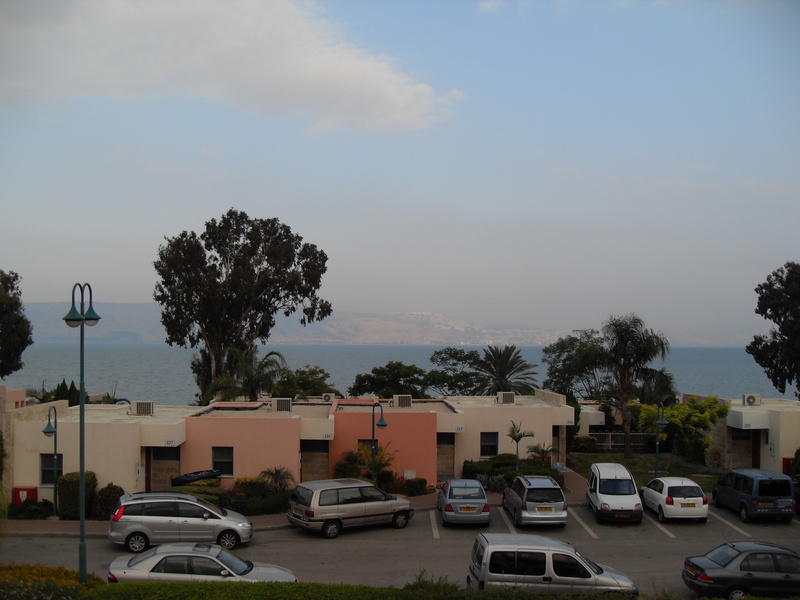 This morning was our last moment at the Sea of Galilee. Before we left I walked the shore and dipped my hands in the water. While standing on the shore with my hands in the water I reflected on Jesus turning fishers into disciples from this same shore. It reminded me that no matter who you are or where you find yourself that Jesus is able to speak purpose and possibility into your life. Later that morning we made our way to the Jordan River where I was baptised in an act of recommittment. Baptisms are always special for me. To be baptised in the the same river that John the Baptist baptised Jesus will be something that I will not soon forget. We then rode through the Jordan River Valley towards Jerusalem. The trip took us less than two hours would have taken Jesus 8 days. When we got to Jerusalem we went to the Mount Of Olives and looked over the city. The rest of our day was focused on walls. We first met with the gentleman who designed the controversial barrier that separates Jerusalem from the West Bank. He talked about the need for the wall to be built in order to protect the Jews in Jerusalem from terrorist attacks. He also discussed some of the resistance to what many Palestinians have called the “Wall Of Apartheid”. Later that evening we went to the Western Wall as the Jewish Sabbath began and participated in evening prayer. The Western (or Wailing) Wall is the last remaining wall of the destroyed temple. It is a place where Jews pray believing that God’s presence still rests in the temple and that it will be rebuilt one day. I took my prayer list (that included the Community Of Hope family) and placed it in a crack in the wall as is the custom. I got excited about DMV prayer requests being lifted up in such a holy place. I am expecting testimonies of miracles to meet me when I get home. The various walls caused me to have to deal with the challenge of conflict in a land of faith. What does it mean for people of such great faith to have such great conflict. I am especially reflective because walls of conflict aren’t isolated to Israel and Palestine. One of the prayer requests I placed in the wall was for Sis. Tonda White. Sis White is a member whose 18 year old son Johnquan was killed yesterday as a result of gun violence . I pray that God and the Community Of Hope church family will wrap their arms of comfort around the White family during this time of loss. I also pray that God will show us all how to dismantle the walls that separate us while establishing firmer foundations for our walls of faith. My hope is built on nothing less than Jesus blood and righteousness. Today was a great day. Started off the day with a visit to the synagogue at Capernaum. This is the place where Jesus started his ministry. It was a great place to start our journey. We also went to the Church of Magnification which is located on the spot that Jesus fed the 5000 and the Mount Of Beatitudes where Jesus gave the Sermon on the Mount. Met with a charismatic Arab-Israeli pastor who talked to us about the state of the church in Israel and Palestine and later a soldier talked to us about the situation with Lebanon as he showed us the Israeli-Lebanon border from the top of a mountain. It’s been a full day, check out the pictures below. This church was built on the site that Jesus fed the 5,000 with the fish and loaves. still maintaining a present day power. this landing feels like so much more.